I know what you are thinking. Ewwwww!! Right? Me too. But I learned something a couple of years ago when I made my Gross Dirty Earwax Q-Tip Treats. Gross is actually cool when it comes to Halloween food. 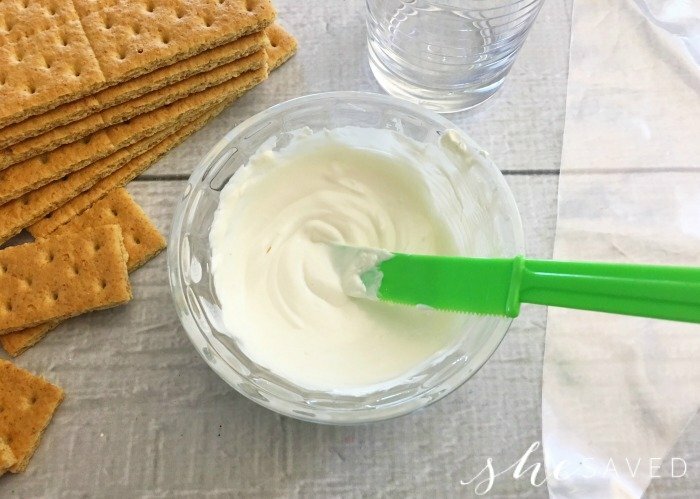 As gag reflexish as the dirty earwax q-tips are, they are one of my top Halloween recipes and the one that my kids are STILL talking about. In fact, a few of their friends still remind me about those gross treats I made a few years ago. 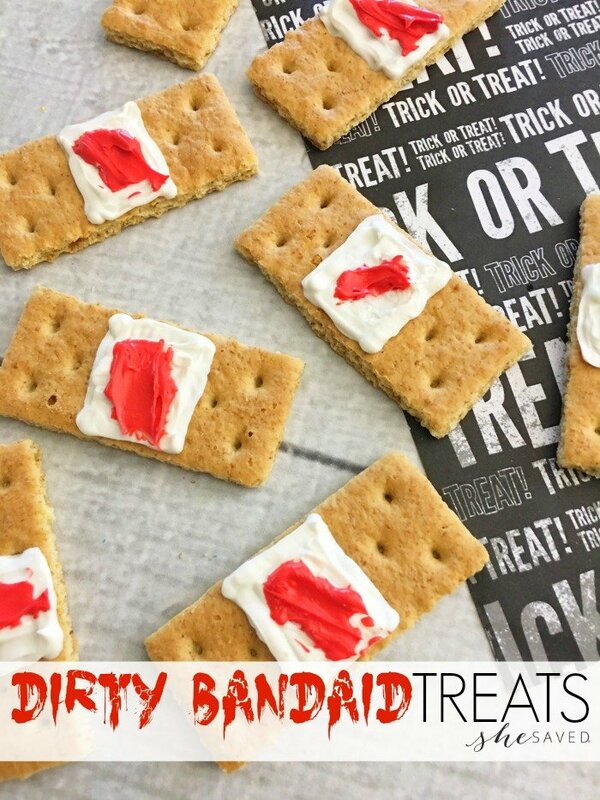 And I’m all about the things that make the kids smile (or gag) so here we are back with another Gross Halloween Party Food idea, and this time it’s Dirty Bandaids. Ewww. Double ewwww. Ick. But also, EASY and that’s something!! 1. 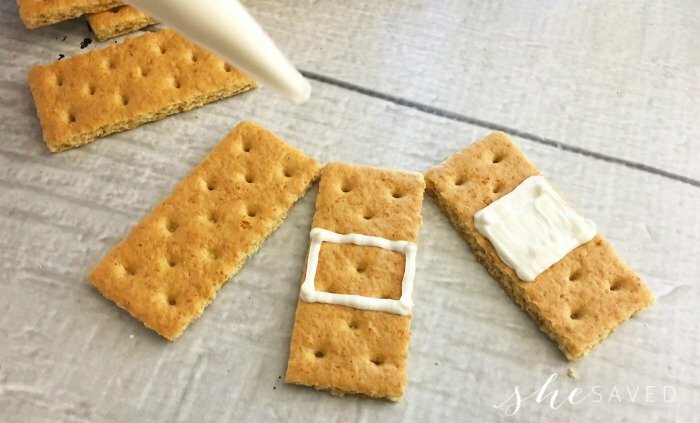 Carefully break your graham crackers along the dotted lines so you have four rectangles. 2. In a small microwave safe bowl, heat 1/2 cups of white candy melts on 50% power for 2-3 minutes, stirring every 30 seconds until melted. 3. 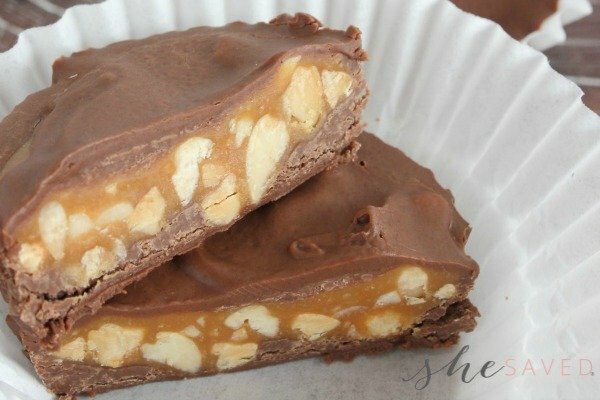 Pour the melted chocolate into a decorating bag and cut a small tip off the end. 4. 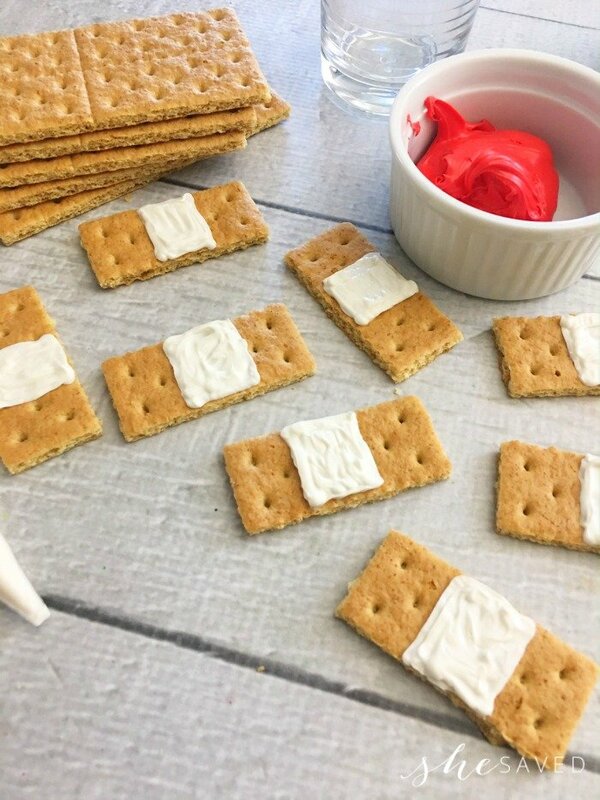 Use the white chocolate filled decorating bag to draw a square onto the center of each graham cracker rectangle, then fill it in with the same melted chocolate, and let harden. 5. 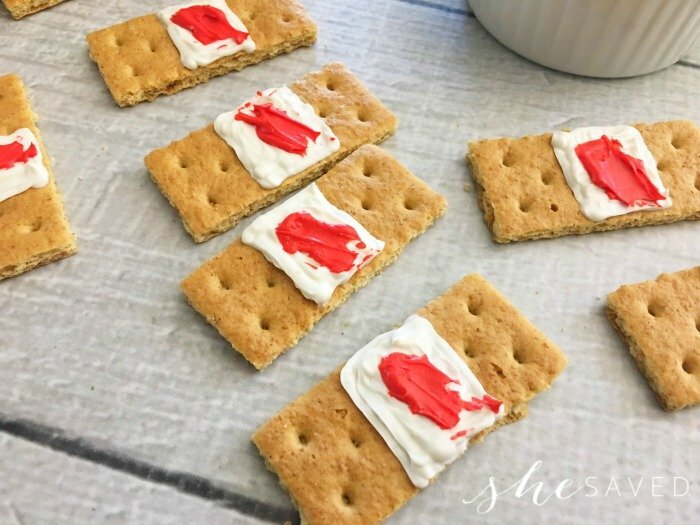 Turn 1/2 cup of vanilla frosting red with a few drops of food coloring and use the end of a knife to smear a little red frosting onto each white chocolate square. 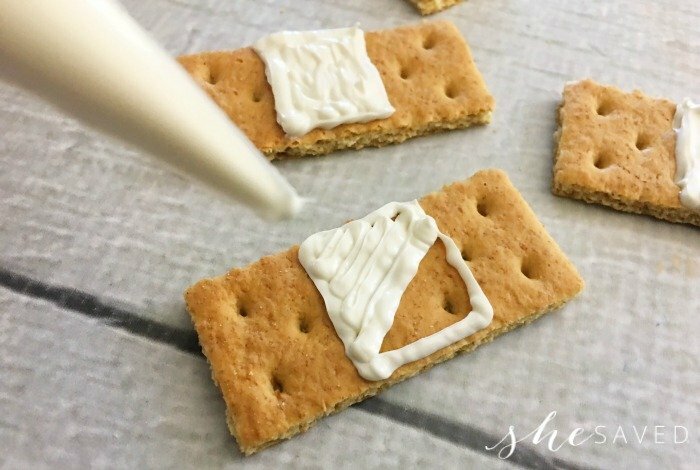 Carefully break your graham crackers along the dotted lines so you have four rectangles. In a small microwave safe bowl, heat 1/2 cups of white candy melts on 50% power for 2-3 minutes, stirring every 30 seconds until melted. Pour the melted chocolate into a decorating bag and cut a small tip off the end. 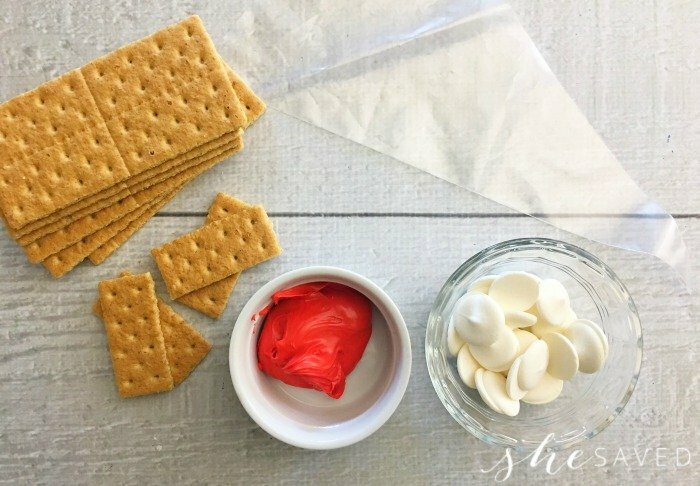 Use the white chocolate filled decorating bag to draw a square onto the center of each graham cracker rectangle, then fill it in with the same melted chocolate, and let harden. Turn 1/2 cup of vanilla frosting red with a few drops of food coloring and use the end of a knife to smear a little red frosting onto each white chocolate square. 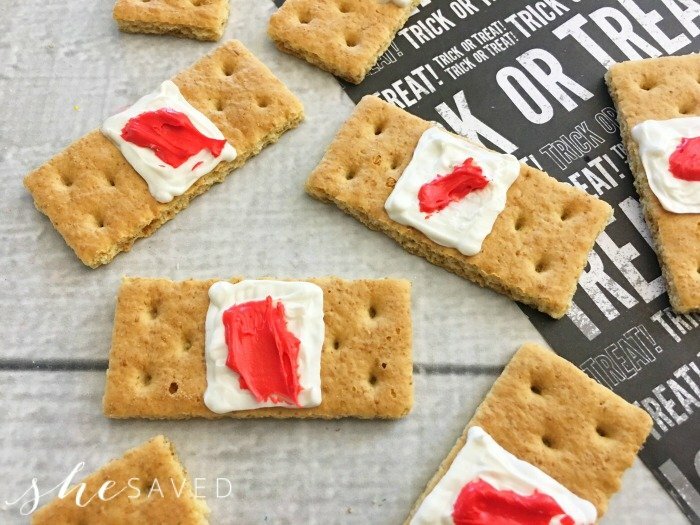 What a fun and creepy treat for Halloween parties! I've never been able to stomach food made to look creepy (even gummies) but kids love this kind of stuff. 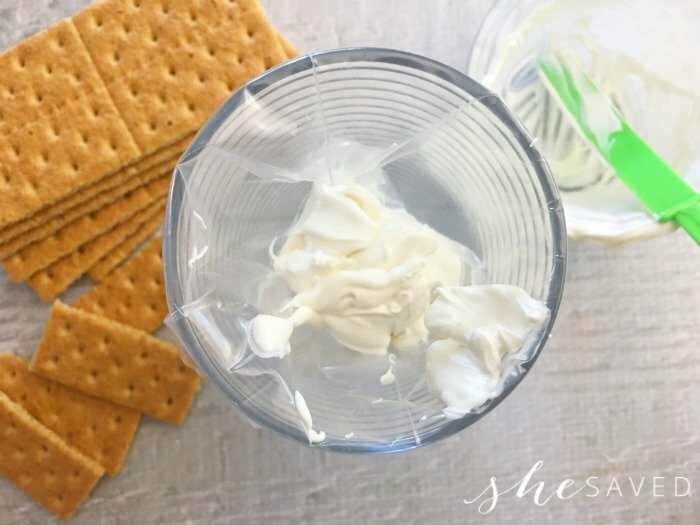 Thanks for sharing your awesome idea with us at Merry Monday this week! I love these cookies. 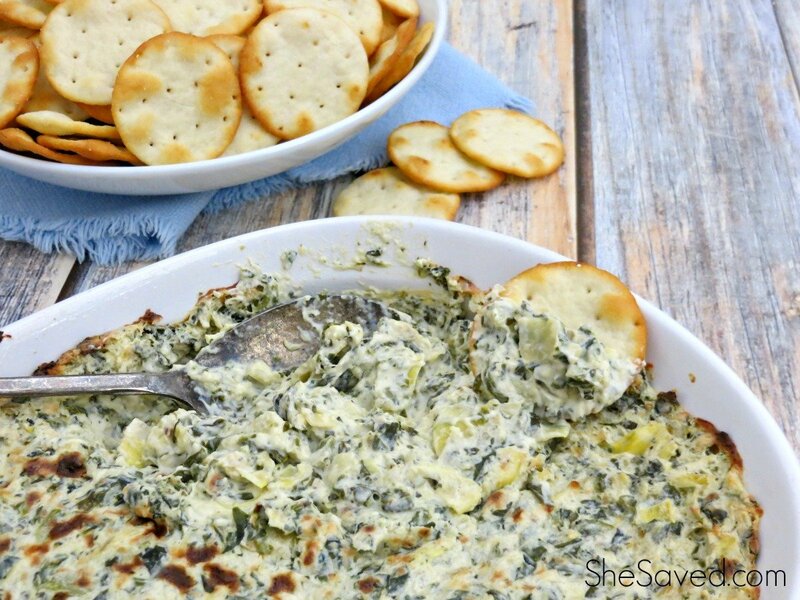 So easy and kind of gross, which is perfect for Halloween. Thanks for sharing on Merry Monday. Pinned and will be featuring it in a round-up.